No artistic endeavor better represents the mystic sanctity of Mount Tai than Shuilu painting. For 1500 years, local master painters have produced hundreds of intricate and portable works of art in honor of imperial emperors who made the journey to East China's most spiritual mountain. The tradition originates from the visit of the Southern Dynasty's (AD 420-589) Emperor Liangwu during the Fengshan ceremony, a weeklong period of fasting and prayer. Liangwu believed the paintings could endow him with greater celestial favor and henceforth they became an indispensible component of all Fengshan ceremonies, as esteemed as the serene music, ritualistic dancing or billowing incense. At its peak in the Ming and early Qing Dynasty (1368-1644 & 1644-1911), the town, which dwells in the shadow of the much-venerated Mount Tai, continuously mass-produced prized religious imagery. However, the decline in productivity that began in the late Qing Dynasty has continued into the present and currently only a handful of local Shandong artists continue to make this local heritage product. Zhang Gongshi, a 73-year-old sixth generation Shuilu painter, is one such individual struggling to keep the embers of this once great cultural fire alive. 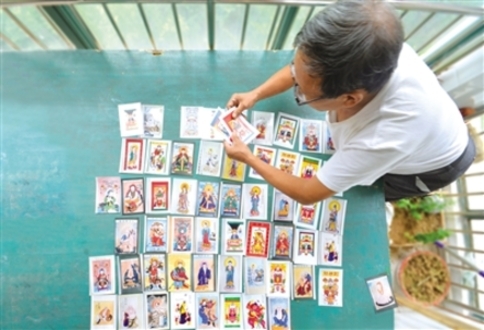 Zhang often tells how he used to miss meals in devotion of his work and given the art form requires extensive education, is mind sappingly time-consuming and is both expensive and unprofitable, it is little wonder only five professional Shuilu painters remain. While Zhang has enjoyed a great degree of artistic success through both domestic exhibitions of his works and the Ministry of Culture deciding to tour several of his paintings in The United States, he and the remaining Shuilu artists must think fast and creatively if their treasured art form is to avoid becoming solely confined to museums. 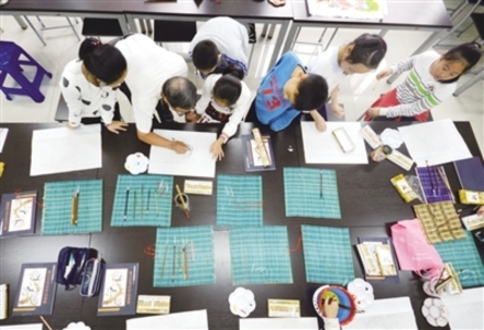 Zhang is certainly playing his part in the effort, for the past 20 years he has held training courses to help promote the art and makes twice weekly trips to local primary schools to pass his passion onto younger minds. 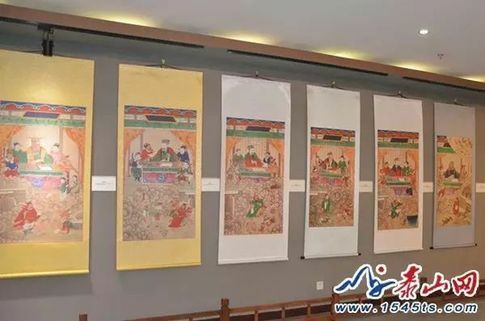 He also has ambitious plans to host a large-scale exhibition of Shuilu works in Mount Tai, curated from all around China, which he hopes will draw national media and artistic attention.